Brian Langford was born and raised in Utah Valley. He studied at Utah State University, receiving a bachelor’s degree in Civil Engineering and a minor in Spanish. He graduated from the University of Idaho, College of Law in 2007. While attending law school, Brian also received training in mediation from the Northwest Institute for Dispute Resolution. His practice is focused on consumer bankruptcy and debt relief. Following law school, Brian clerked for the honorable Jim D. Pappas of the United States Bankruptcy Court, for the District of Idaho. During his clerkship, Brian served on the Local Bankruptcy Rule Committee for the District of Idaho where he assisted the bankruptcy bar and the panel trustees craft and revise procedural rules and local forms. Later, Brian began his private practice as an associate at the Northwest Regional firm of Routh Crabtree Olsen, where he was responsible for bankruptcy matters throughout the state of Idaho. 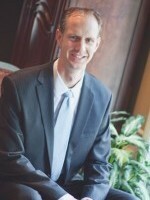 Brian returned to Utah in 2012 to establish a consumer bankruptcy practice at MacArthur Heder & Metler. Brian and his wife, Cynthia, are the parents of four children. Brian loves spending time with his family, playing golf and basketball, reading, playing the piano and guitar, photography and spending time outdoors.